During my sophomore year of college, I (stupidly) decided buying a concert ticket was more important than purchasing an expensive — but necessary — textbook for one of my classes. I struggled through that semester, borrowing the book from a classmate or from the library when it was available. I eventually passed the class, albeit by a pretty slim margin. But can you blame me? I mean, with some textbook prices hovering in the $200 range, it’s hard to wrap your head around the thought of shelling out that kind of cash, knowing you won’t be able to make even a fraction of it back at the end of the semester when you try to sell the book back to the bookstore. And while there are ways to save on textbooks — and on the rest of your college experience — pricy textbooks can still feel like a pretty big ripoff. But what if I told you you didn’t have to pay for textbooks at all? What if there were a resource that would allow you to access textbooks and course materials absolutely free? Well there is, and it’s called the Open Textbook Network. 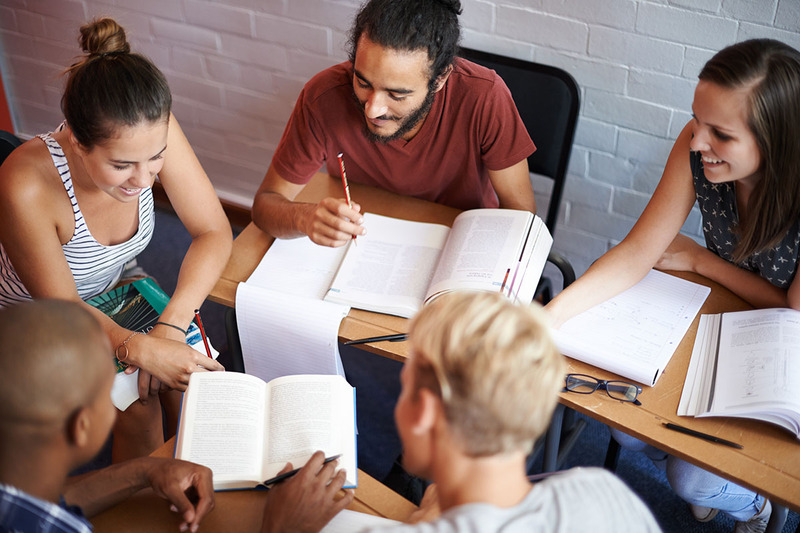 The Open Textbook Network is an organization that aims to improve and advance the use of open textbook sharing practices on college campuses. It maintains the Open Textbook Library, which houses a resource of peer-reviewed academic textbooks online. The textbooks are “free, openly licensed, and complete,” meaning that students have full access to the entire text — without paying a cent. University faculty members are invited to choose the entirety of their coursework through the network, which allows their students to avoid the high fees charged by traditional book sellers. How Do I Use the Open Textbook Network? The Open Textbook Network has more than 500 members across the U.S., including schools like Clemson and Ohio State. Students of these universities can use their student email address or a URL from a faculty member to access the resources on the organization’s site. These resources include data collection tools, slide decks, instructional support and the aforementioned textbooks. The library features textbooks on everything from chemistry to philosophy, and professors and faculty members are even welcome to write and submit their own textbooks for use in the Open Textbook Library. If you think your university needs to become a member of the Open Textbook Network (so that you can get your hands on some free books), talk to a faculty member at your school about joining. They can go here to begin the application process. As the network grows through community contributions and university participation, the library will continue to expand, offering more textbook and coursework options. And who knows? Maybe someday overpriced textbooks will be a thing of the past. Then, hopefully, students will be able to focus a little less on finances and a little more on cramming for that big test.